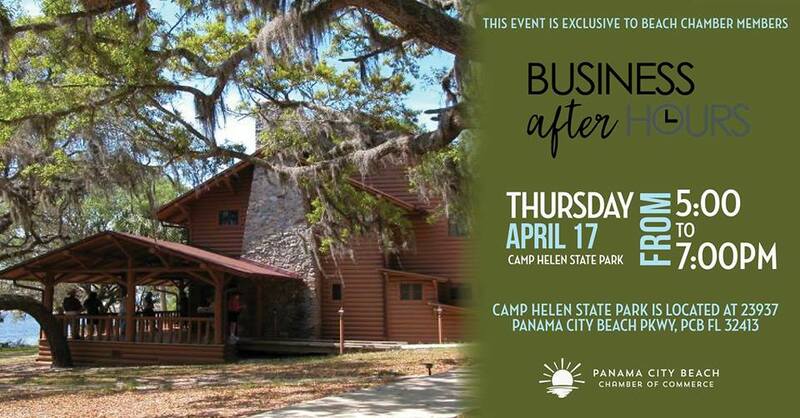 Camp Helen State Park will host Business After Hours on Thursday, April 18 from 5:00 PM to 7:00 PM. Business After Hours is exclusive to members of the Panama City Beach Chamber of Commerce. If you are interested in attending the event as a prospective member, please contact Shannon Richmond at shannon@pcbeach.org.